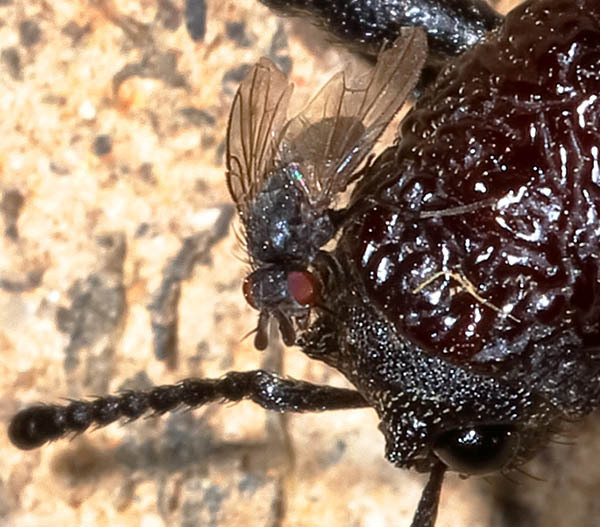 Here the fly was walking toward the posterior of the beetle. 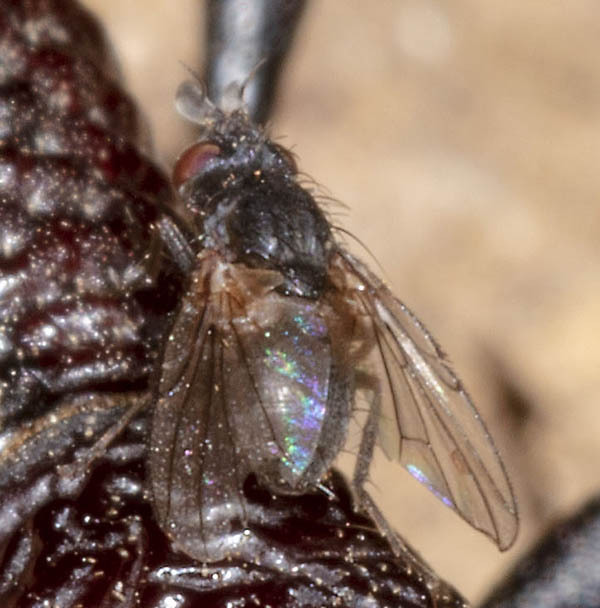 Not sure if the fly requires the beetle for some aspect of its life cycle, or if it was just perching there, since every fly has to perch somewhere. Tachinidae. A few genera are beetle parasites (plus most or all of the tribe Dexiini, which this does not belong to).